Harness that classic, badass style you love for work and play in Harley-Davidson® leather boots and shoes. 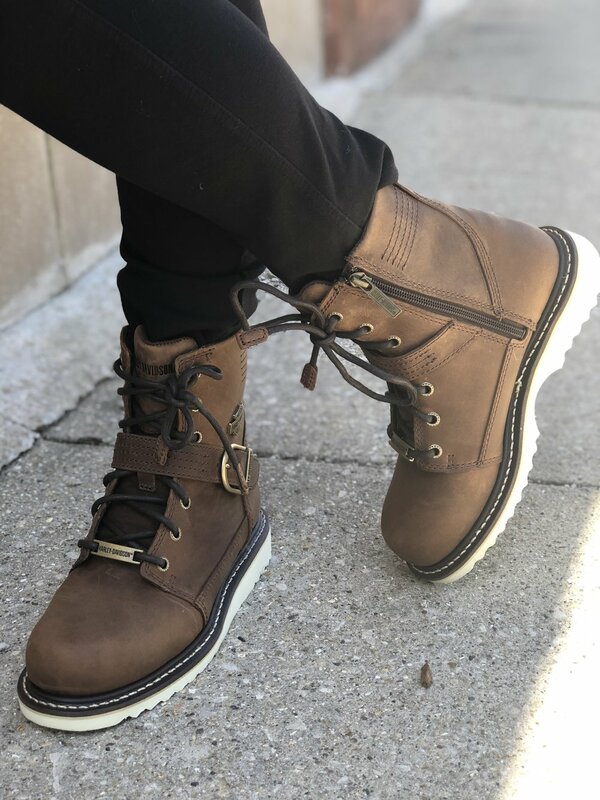 Whether you’re reveling in the freedom of the open road, or working long hours on your feet, find the right riding, casual and work boots to keep you protected without sacrificing edge. From motorcycle boots to steel toe shoes, Harley-Davidson® leather boots bring attitude and performance to your fearless lifestyle. *Shop the full collection online HERE!